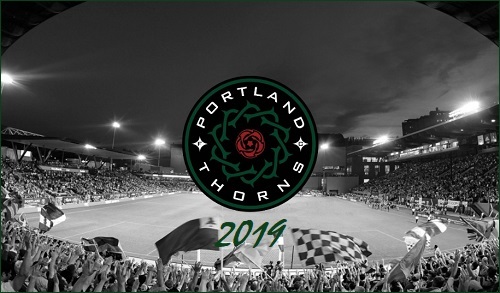 The Portland Thorns will attempt to reclaim the National Women's Soccer League championship as they embark on their 2019 season. Portland reached the championship game last season, only to be turned back by the North Carolina Courage, 3-0. The Thorns won the NWSL title in 2017 with a 1-0 victory over the Courage. The Thorns also won the inaugural NWSL championship, having defeated the Western New York Flash, 2-0, in 2013. Prior to the 2017 season the Flash were sold and relocated to become the Courage. Portland opens its 2019 season with three pre-season games at Merlo Park in North Portland, which is the home of the storied University of Portland Pilots. They have a road-heavy schedule at the beginning of the season as their home pitch, Providence Park is undergoing renovations. The Thorns play their first six games on the road before hosting the Chicago Red Stars on June 2. They have a three-game homestand in late August and play three of their last four matches at home. The 24-game schedule features three games against each of the other eight NWSL teams. The Thorns play their home games at Providence Park, located at 1844 SW Morrison in downtown Portland. The location was originally used as a field before the actual stadium was constructed and completed in 1926. Providence Park has a capacity of 21,144, with expansion underway to add approximately 4,000 seats. This accounts for the extended series of Thorns road games over the first three months of the season. The stadium is also home to the Portland State University football team, the Vikings, as well as other sporting events. Most games are streamed live online via www.portlandthornsfc.com. Some game will be broadcast locally, as well as on the Lifetime cable network. Broadcast information, as well as results from each game, will be updated as that information becomes available. Home games are noted in Bold Green. All times on this schedule are pacific time and are subject to change. Sun, April 28 - at Sky Blue FC, 3 p.m. Sat., May 11 - at Orlando Pride, 4:30 p.m. Sat., May 18 - at Washington Spirit, 4 p.m. Sat., May 25 - at Sky Blue FC, 3 p.m. Sun., June 2 - Chicago Red Stars, 3 p.m. Sat., June 15 - at North Carolina Courage, 4:45 p.m.
Fri., June 21 - Utah Royals FC, 8 p.m. Sat., June 29 - at Houston Dash, 5:30 p.m.
Fri., July 5 - Reign FC, 8 p.m.
Sun, July 14 - Orlando Pride, 12 p.m.
Fri., July 19 - at Utah Royals FC, 7 p.m.
Wed., July 24 - Houston Dash, 7:30 p.m. Sat., Aug. 3 - Sky Blue FC, 8 p.m.
Wed., Aug. 7 - at Seattle Reign FC, 7 p.m. Sun., Aug. 11 - North Carolina Courage, 12 p.m. Sat., Aug. 17 - Washington Spirit, 7:30 p.m. Sun., Aug. 25 - Chicago Red Stars, 12 p.m.
Fri., Sept 6 - at Utah Royals FC, 6:30 p.m.
Wed., Sept. 11 - North Carolina Courage, 7:30 p.m. Sat., Sept. 21 - Houston Dash, 7:30 p.m. Sun., Sept. 29 - at Reign FC, 1 p.m. Sat., Oct. 12 - Washington Spirit, 7:30 p.m.